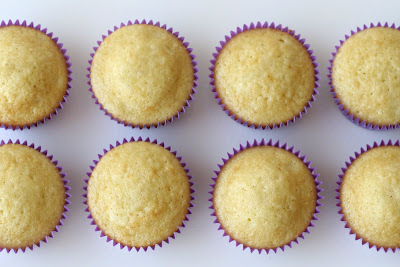 I have been on a search for a perfect vanilla cupcake recipe for several years. I have tried Martha’s, Magnolia’s, Billy’s and Amy Sedaris’. I’ve read the Cake Bible from cover to cover (really!). I’ve googled until I can’t google anymore! Some of the recipes were good, just not perfect. I’ve considered just giving up… maybe my expectations were to high. 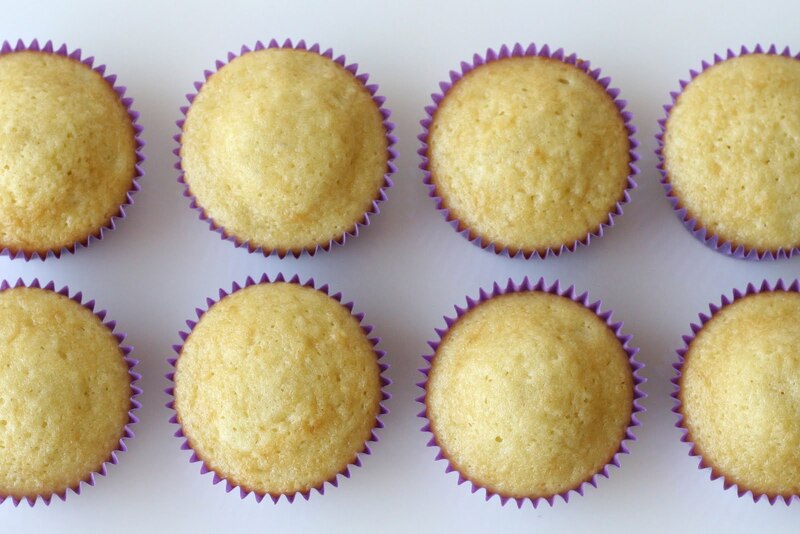 I wanted a vanilla cupcake recipe that was as light and fluffy as a box mix, but without all the funny chemicals. I wanted a cupcake that was flavorful and moist. And I wanted it to be almost as easy to make from scratch as from a box. They looked beautiful and tasted perfect, so I double checked all my notes to make sure I could remember what I put in them… then I made another batch to make sure it was THE ONE. They were just as perfect!! I think I heard angels singing…. I am SO happy to share the results of my many experiments. 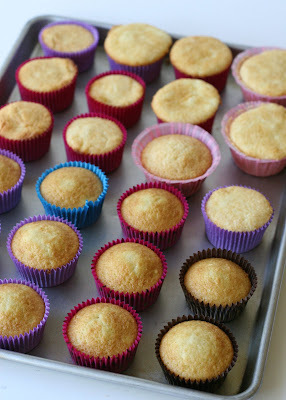 I am perfectly happy with these cupcakes and look forward to making them again and again. Now certainly, peoples tastes and preferences vary greatly. I love these, my husband (my #1 taste tester) loves them, and I hope many of you will too. As with any recipe, it is very important to use the best quality ingredients you can. 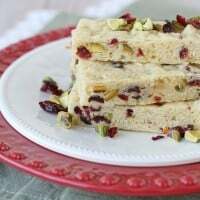 You will notice the recipe calls for cake flour, which is a bit more expensive than all-purpose flour, but I have found it is essential to produce the light and fluffy texture I was looking for. Also, the recipe uses oil instead of butter. I realized most cupcake recipes (from scratch) call for butter, and yet box mixes (which have the texture I was looking for) are baked using oil. I was concerned that using only oil would leave the cupcakes without adequate flavor, but I found that with good quality vanilla, these cupcakes are delicious and flavorful. * Reduce mixer speed to low and slowly add about half of the flour mixture. Add the milk, then the rest of the flour and the sour cream. Beat until just combined. Scrap down the side of the bowl. * Frost as desired when fully cool. I love to use my favorite Vanilla Cream Cheese Frosting recipe. * Feel free to use this recipe for a cake as well. The recipe above will work for a 6″ cake. Double the recipe for an 8″ or 9″ cake. 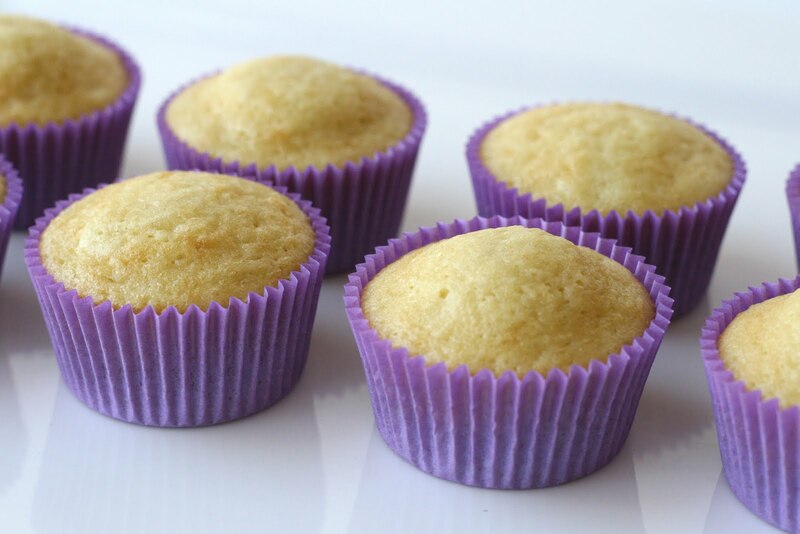 * A note about Cake Flour- Cake Flour has a lower protein content than traditional all-purpose flour, which results in a more tender, delicate crumb in the finished product. 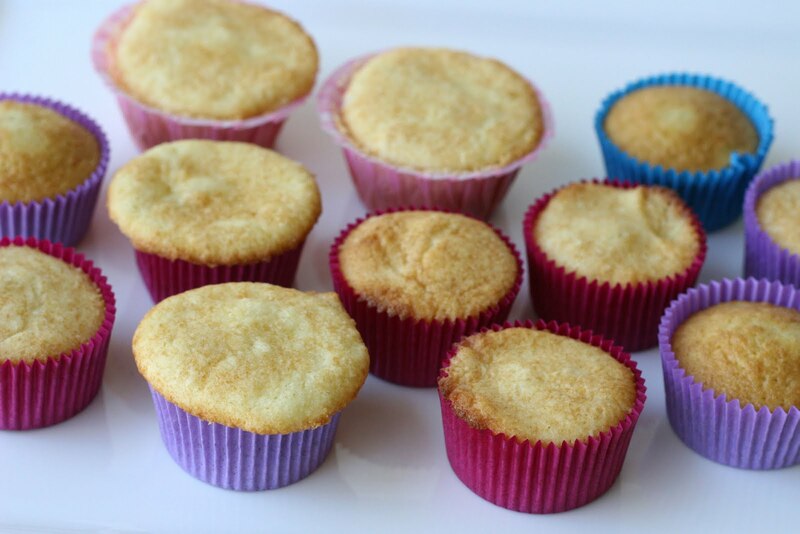 If you can not find or access cake flour, feel free to substitute as necessary, but your results will vary from the original recipe. I have made this recipe many times with success, but in an effort to always be improving (even great recipes) I’ve made a couple small updates to this recipe (which are now listed above). My original recipe included 1 1/4 tsp. baking powder (now reduced to 3/4), 3/4 cup sugar (now increased to 1 cup) and 1/2 cup buttermilk (now updated to 1/3 cup milk, 1/3 cup sour cream). Brown cupcake liners from Simply Caked. 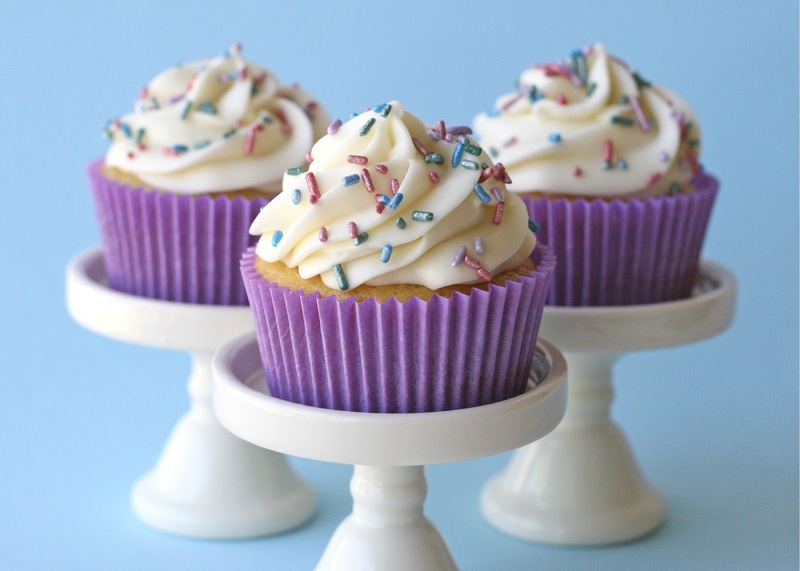 The pretty purple cupcake liners are from Confectionery House. The pearlized sprinkles are from Sweet Baking Supply. Cupcake stands available at Farmhouse Wares. 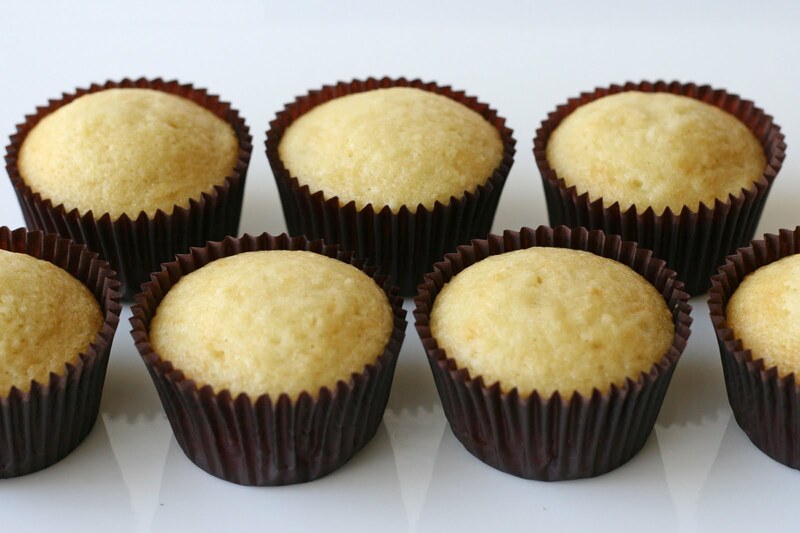 I have made these cupcakes atleast four times now and they are always a huge hit. 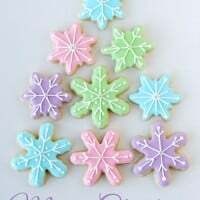 As a matter of fact I am making them today! Also I use the vanilla cream cheese frosting! If someone made these and didn’t turn out right then they must not be used to cooking/baking. These are pretty fail proof as I allowed my husband to make them once and even he didn’t screw them up! These are my go too!! Any suggestions for making this a white cake? 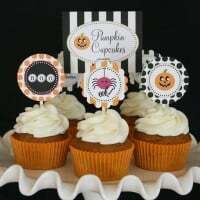 I always make these cupcakes, they are the best, just making a double batch for my middle sons birthday, as requested! These are perfect and I have not even frosted them yet! I doubled the recipe. 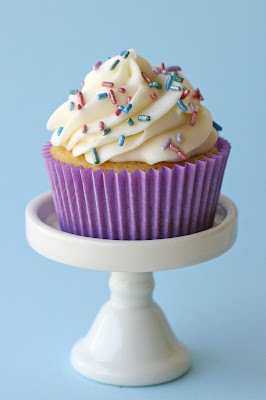 I have always found it difficult to find the right vanilla cupcake. Thanks so much for your lovely note! So glad you love them! I wondered if you could tell me how much is in a cup in grams or ounces? I searched and tried a variety of cupcakes,….. we did taste tests. As I wanted the perfect go to recipe as my first child was turning one. He is now 8 and this is still our favorite! Thank you. Thank you so much for your sweet comment! I’m so happy to have been a little part of your celebrations over the years!